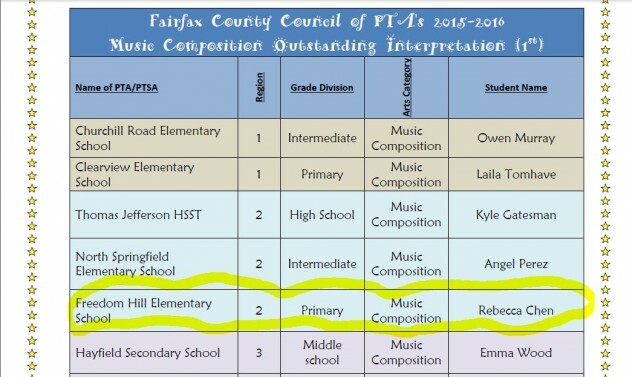 FHES 1st Grader moves on with FCCPTA Reflections Award! Great news! 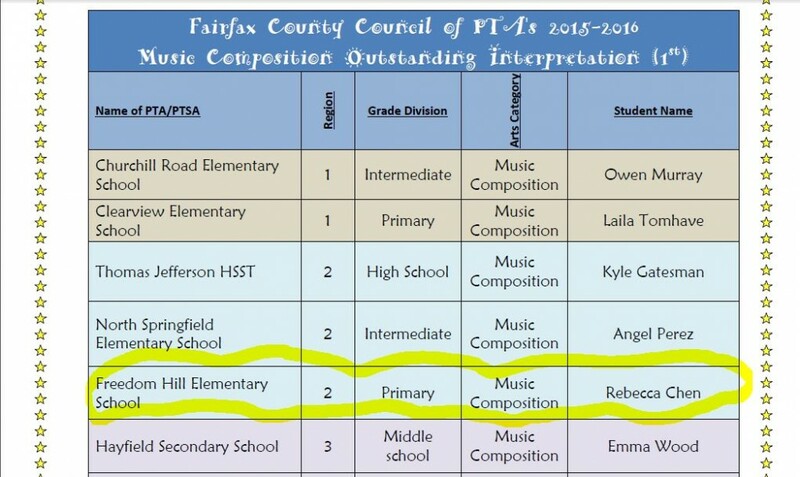 Rebecca Chen’s Music composition from our school had moved to NOVA district after winning Fairfax Region 2 schools. Rebecca is a student in Mrs. McGuire’s 1st grade classroom, We are very proud of you Rebecca! We are thankful that FHES parent Sylvia Francis took the lead in bringing this opportunity to our students this year! Chess Classes – Registration Deadline Extended!